The Department of Health is investigating a cluster of Legionnaires' disease which has infected 12 people in the downtown Flushing area in the past two weeks, officials said Tuesday. UPDATE: The Health Department confirmed Thursday another case of Legionnaires' disease in downtown Flushing, bringing the total number of people infected in the area to 14. Twelve people have already been released from the hospital, with two remaining hospitalized, according to the agency. QUEENS — The Department of Health is investigating an outbreak of Legionnaires' disease that infected 14 people in the downtown Flushing area over the past two weeks, officials said. The patients range in age from their early 30s to their late 80s, and most of them had serious underlying health conditions, the agency noted. No patients had died as a result, the Department of Health said. Sources said the outbreak occurred in the area surrounding the intersection of Main Street and Roosevelt Avenue. The Health Department has collected water samples from all cooling tower systems within the investigation zone to test for legionella, the bacteria that causes Legionnaires’ disease, officials said. “As with our previous Legionnaires’ disease investigations, we are in the process of investigating the source of the cluster and are working with building owners in the area to rapidly test and clean cooling towers," Bassett added. The city also sent outreach teams distributing information about the disease to transit hubs and senior centers in the neighborhood. There will be a meeting for residents to address their concerns, the agency said. 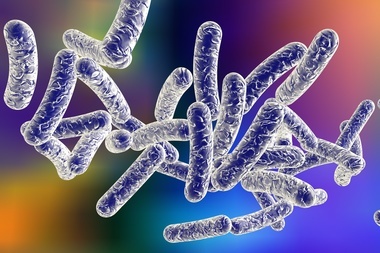 Legionnaires' disease is not contagious, and people can only get sick by breathing in water mist containing the legionella bacteria, the Health Department said. Each year, the city receives an average of 200 to 400 reports of the disease, which causes flu-like symptoms such as fever, cough and difficulty breathing, but is easily treatable with antibiotics, the agency said. The largest outbreak took place in 2015 in the South Bronx, killing 12 people and sickening more than 120. It was later traced to 15 cooling towers, prompting new legislation from the city.